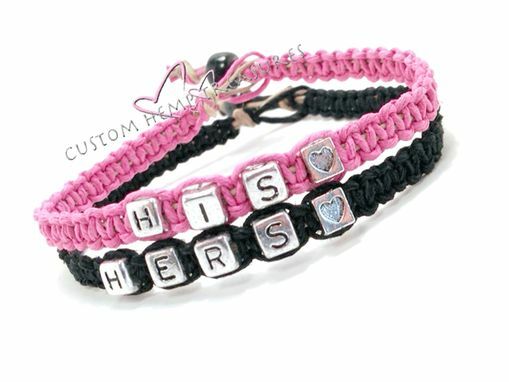 Handmade Hemp bracelets made just for couples or friends! Fully custom, pick your hemp color for each bracelet, pick your length (even down to the quarter inch) and pick your name phrase or saying for each bracelet (limit 15 characters). 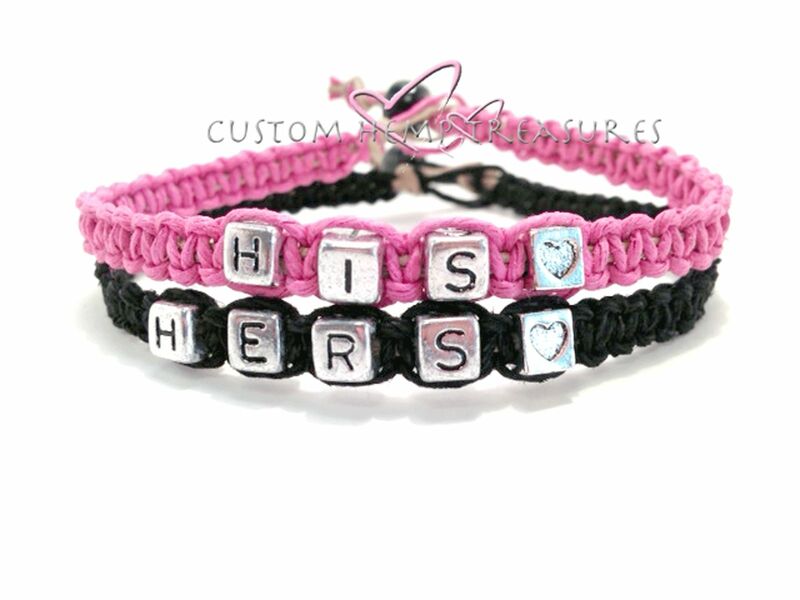 Just Contact me and I can get started making a custom bracelets for you and your sweetie in no time!